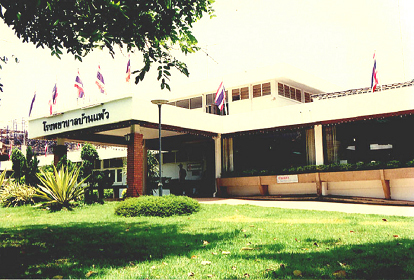 Banphaeo Hospital was founded in 1965. At that moment, people gathered together in order to donate the land, support properties, efforts and volitations for hospital construction on about 9-rai of land. The first director was Sumon Kaewpintong, M.D.. Banphaeo Hospital had been developed into the community hospital and the district hospital from the size of 10 beds to 30 beds. The second director was Pongsatorn Siripanupong, M.D. In 1987, Witit Attawetchakul, M.D. moved from Uttaradit to take the position of director. Then in 2007, Surapong Boonprasert, M.D. was the fourth director. And now, Executive Board of Banphaeo Hospital have appointed Pornthep Pongtawigorn, M.D. as the director. Banphaeo Hospital has been constantly evolved in every age because Banphaeo community has good social capital in term of their participation in development. In the era of civil service reform during 1997-2000 and there was an economic crisis. The government, by the Ministry of Public Health had the policy of changing some public hospitals into autonomous hospitals which is the change of management model. 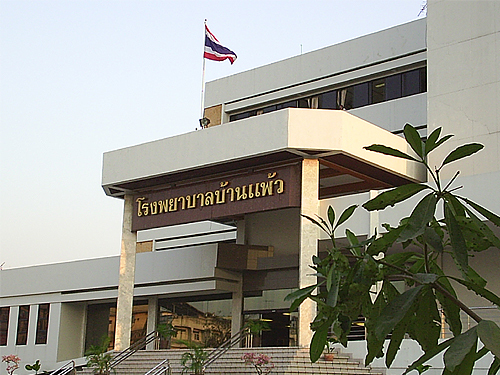 The hospital’s name was changed to Banphaeo Hospital (Public Organization) on June 22nd, 2000 and Royal Decree has become effective in the outage of the hospital on October 1st, 2000.